** The laser sensor does not work on glass or mirrors. 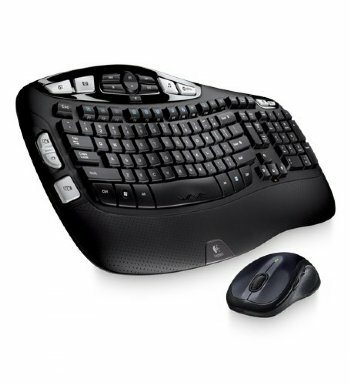 With contoured curves in all the right places, this ergonomic keyboard and mouse give you the support you need to minimize hand and wrist strain—even after spending all day on your computer. 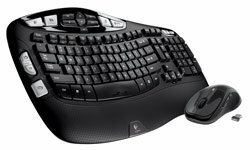 More comfort also means you can type as you normally do using the standard keyboard layout you already know.